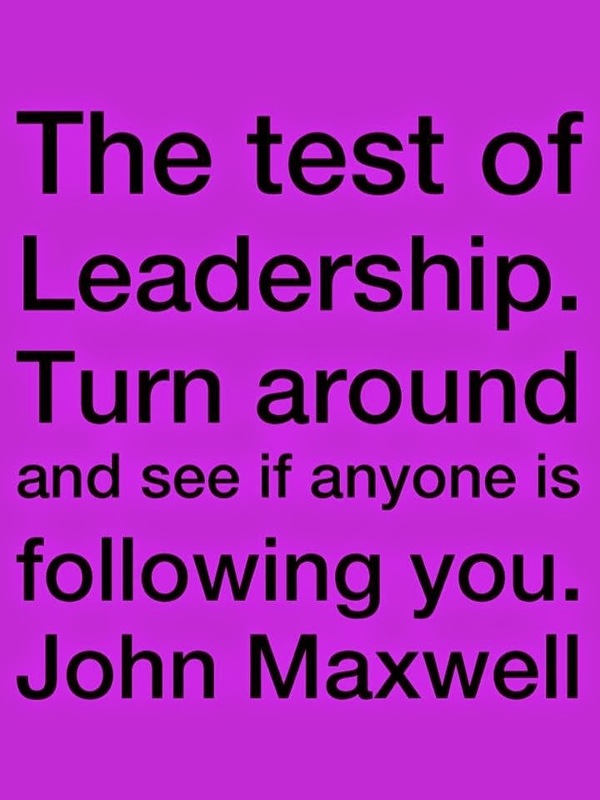 JoAnn Corley-Schwarzkopf | NewSchool Management: Are You Ready For The Real Life Leadership Test? Are You Ready For The Real Life Leadership Test? One of the great privileges I have as a talent management specialist is conduct seminars on management and leadership. For most of my life, I have been in a leadership capacity in someway all the way from the Junior Leadership program at my local Y.M.C.A. to now running my own company and leading professional development seminars throughout North America. Leadership is one of the most fascinating topics to examine, write, teach and talk about as evidenced by the voluminous publications released over the years -- and they keep coming! You’d think for us leadership aficionados we’d all have it figured out by now and not another leadership book would need to be written. Sometimes though, all we have to do is look around us and learn from the profound examples of leadership -- or the absence of it. He recently wrote a post entitled The Danger of Conviction which immediately got my attention because conviction is an essential component in effective leadership and achieving results. So why would it be dangerous? He writes about the upcoming history changing referendum in which Scots (of which he is) will be voting on whether they should become an independent country and his observations regarding the leadership of each position on the vote. The crux of his post is about the ability to lead and influence during this crucial decision-making period, the source of which he suggests should come from showing and expressing elements of humanity to which every voter can relate. That sentiment lead me to thinking about what’s happening on our side of the pond. That tiny town in Missouri experiencing mind boggling unrest surrounding the shooting of Michael Brown. When things like this occur, I regularly see it through the lens of leadership. What I’ve seen so far is a variety of hits and misses. One major hit has been that of the state police captain Ron Johnson. He has handled a variety of situations (at least that can be seen via the media) with thoughtfulness, grace, confidence, strength and great humanity. In fact you can really see the contrast of the effectiveness of the different leaders as the events are being covered. What Captain Johnson has demonstrated in effective leadership is connecting with the humanity of the people he is trying to lead and influence. I believe that in order to do that successfully, one needs to first be willing and able to connect to one’s own and be willing to share that. Then a leader can say as Capt. Johnson repeatedly did, “I’m just like you. I share in your confusion, grief, and need for justice”. I observed that speaking the language of humanity is essential for a leader to be able to influence. Tweet: Speaking the language of humanity is essential for a leader to be able to influence. As Louis suggests, leadership is not always about being the surest, knowing it all, being the most certain or the most convinced. Sometimes it’s about vulnerability and humility which opens the door to the hearts and spirits of those you’re leading. It’s there that meaningful connections can be made. The inability to do so turns leadership into a dissonant clanging gong. The results? People listen less (if at all) and in the frustration of diminishing results, the clanging only seems to get louder to no avail. Just because you’re talking doesn't mean people are listening. What can these two momentous events teach us about leadership? The world is requiring more from leaders than ever before. Every generation has it’s exceptional set of challenges where great leadership must be exhibited. And whether on the world stage or in one’s own backyard, there are those who can meet that challenge and some that don’t. In the end, a title does not make a leader -- behavior does.